Photo courtesy of the American Fisheries Society. 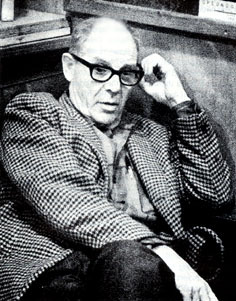 Fry is most remembered for his development of virtual population analysis, one of the most important techniques of fisheries management. For nearly forty years he was associated with the University of Toronto, where he was known as an outstanding teacher and developed an enviable reputation as a physiological ecologist. His 1947 monograph Effects of the Environment on Animal Activity, which advocated a movement away from taxonomy and form and toward a systems understanding of physiology as related to environment, is a major classic in the twentieth century literature of ecology. Fry was involved in a large number of collaborative research programs and supervised the education of forty-seven graduate students. --born in Woking, Surrey, England, on 17 April 1908. --dies on 22 May 1989. --Transactions of the American Fisheries Society, Vol. 119(4) (1990): 567-584. --Environmental Biology of Fishes, Vol. 27(4) (1990): 241-242. --Journal of the Fisheries Research Board of Canada, Vol. 33(2) (1976): 340-344.